If you are a community manager, association board member or live in a common interest development in California, the CAI Legal Forum is for you. 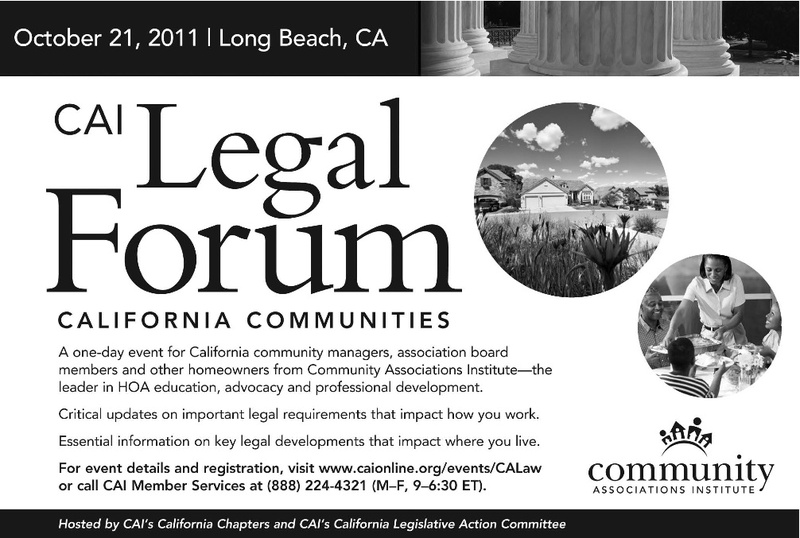 The CAI Legal Forum offers two education programs—one for community managers and one for homeowners. Sessions are presented by expert panels, including government officials, seasoned management professionals and members of the prestigious College of Community Association Lawyers, a professional organization that represents the very best attorneys in the industry. Click here to register online now for the CAI Legal Forum.